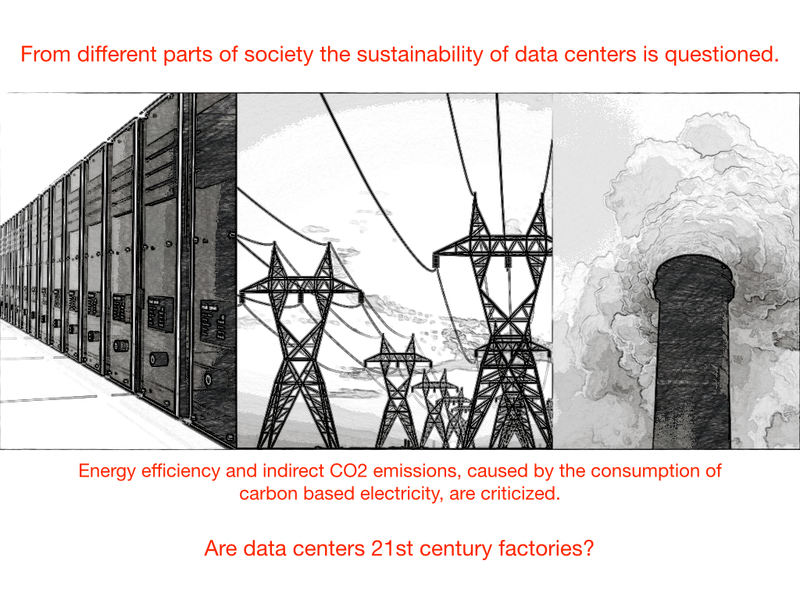 There have been some debate about the source of electricity a data center is using and the CO2 emissions it is causing. Recently some interesting figures came available by the International Energy Agency. These are the CO2 emissions per kWh electricity generation. Published in the 2013 edition of “CO2 emissions from fuel combustion – Highlights”. It isn’t easy to find consistent and complete time series. A lot of the data that can be found is using different definitions and/or different time periods what makes it difficult to aggregate these figures. IEA has published time series for the period 1990 – 2011. To make some comparisons a selection from different parts of the world is showed in table 1. Remarkable differences in CO2 emissions can be found. Some countries show a huge decrease of CO2/kwH emission during the period 1990 – 2011 whereas others show an increase. Also within a region the differences are considerable. Zooming in on the E.U. 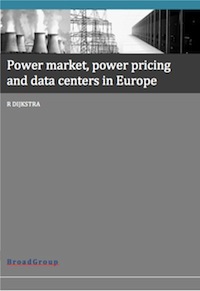 countries with Tier 1 data center markets; United Kingdom, France, Germany and The Netherlands, (with the DC hubs London, Paris, Frankfurt and Amsterdam) we see a CO2/kwH reduction of 34.4%, 41.9%, 21.4% and 33.4%. Differences in emissions and emissions trends are caused by different energy policies and different compositions of the power plant fleet. Table 1. CO2 emission per kWh from electricity generation, source IEA. The figures that are showed are averages. 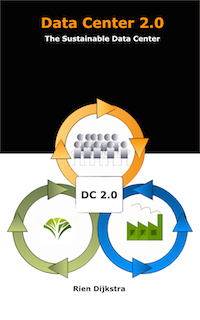 The CO2 emission of a data center depends on the power plants that are really used to deliver electricity to the data center. Depending on the electricity demand the power supplier will assign different power plants. The assignment of power plants is according to their production efficiencies (short-run marginal costs of production) and capacity and this production mix will influence the CO2 emission per kwH. To get an impression of the CO2 emission per server in different parts of the world we making use of the report ”Estimating total power consumption by servers in the U.S. and the world” of J.G. Koomey of Stanford University, the power usage of low, mid and high range server are estimated on 180, 420, and 4800 Watt. This will lead to the figures in table 2 based on a 24 hours x 365 days usage. Table 2. Yearly CO2 emission per server. 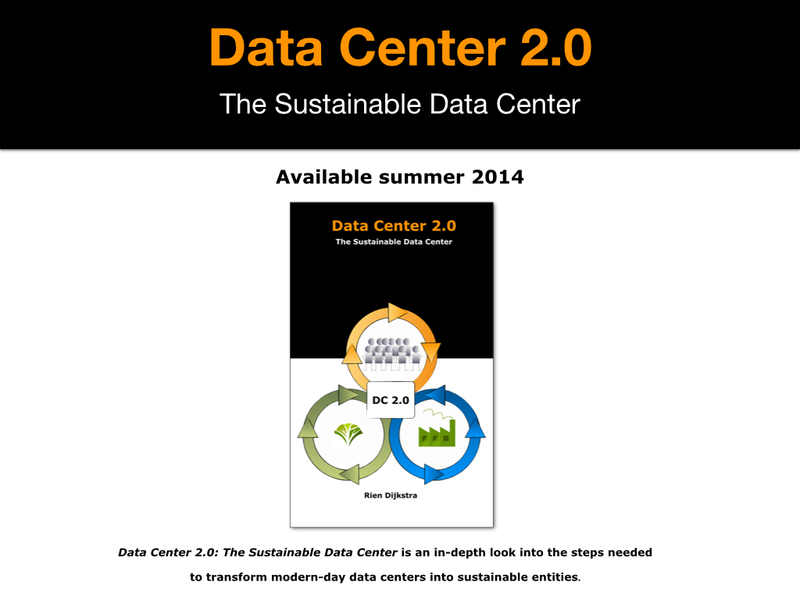 What do all these figures mean for a data center? Lets take for example a data center of 1000 servers with a PUE of 1.8. In this case we use a server mix of 95% low range, 4% mid range and 1% high range servers. Besides servers the data center will also use storage and network components. The ratio of the energy use of servers versus the energy use of storage and network components is set to 75:15:10. 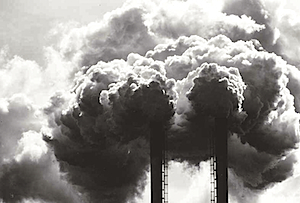 We can define a worst-case scenario when electricity is created with conventional coal combustion; in that case 1kW of electricity is equivalent to 1 kg CO2 emission. 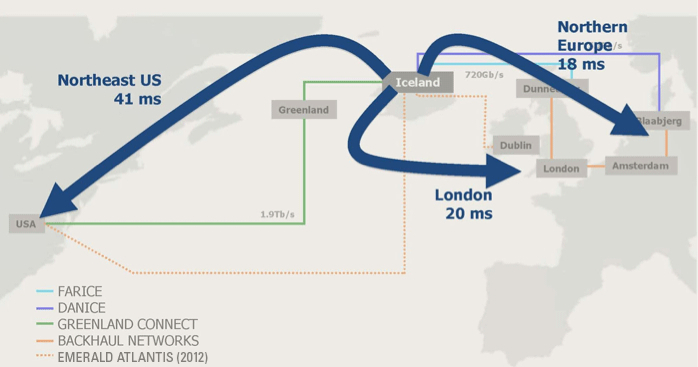 For the data center in this use case, that would be an upper limit of 4957 ton CO2 per year. In reality power suppliers are using a mix of different energy sources. As we can see in table 3, the lowest emission is 302 ton and the highest emission is 4244 ton. A difference with a factor 14! Table 3. CO2 emission of a data center. There is of course the alternative case of zero CO2 emissions if the electricity supply is completely based on nuclear, hydro or renewable energy. Some countries like Iceland, Norway, Sweden and Switzerland have extreme low CO2/kwH emission (1, 13, 17 and 30 gram). This year Ray Anderson, often called the “greenest CEO in America” has passed away. Mr. Anderson was the founder of Interface, one of the world’s largest producer of commercial carpet tiles. After 20 years, running his business in compliance with government regulations, he read in 1994 Paul Hawken’s book “The Ecology of Commerce,” which gave him a new understanding of how business practices could damage the environment. From that point forward, he pursued what he called “Mission Zero”: to make Interface fully sustainable by 2020 through the use of recycled materials and renewable energy sources. And at the same time increased sales by 66% and doubled earnings. 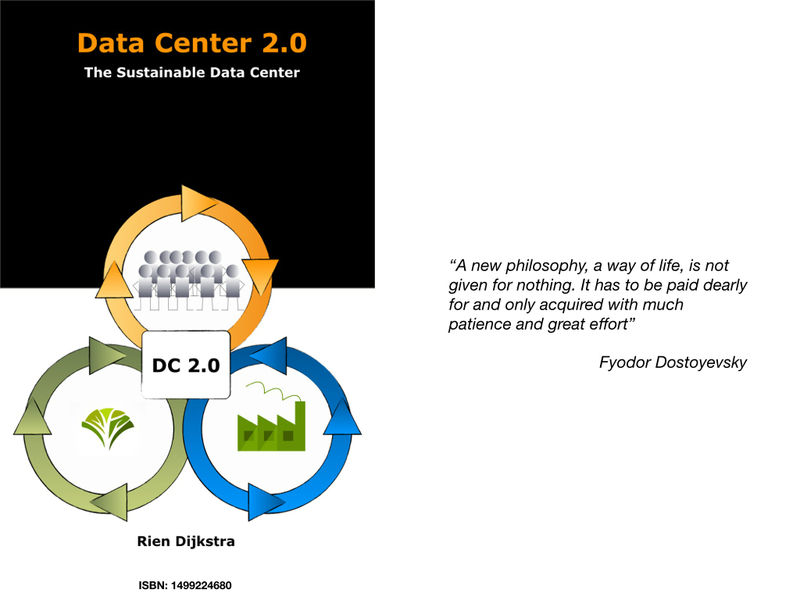 In the data center world we have discussions about energy consumption, E-waste, green IT and we are working on the PUE, WUE and CUE metrics of the Green Grid. But do we have the same kind of impressive results? 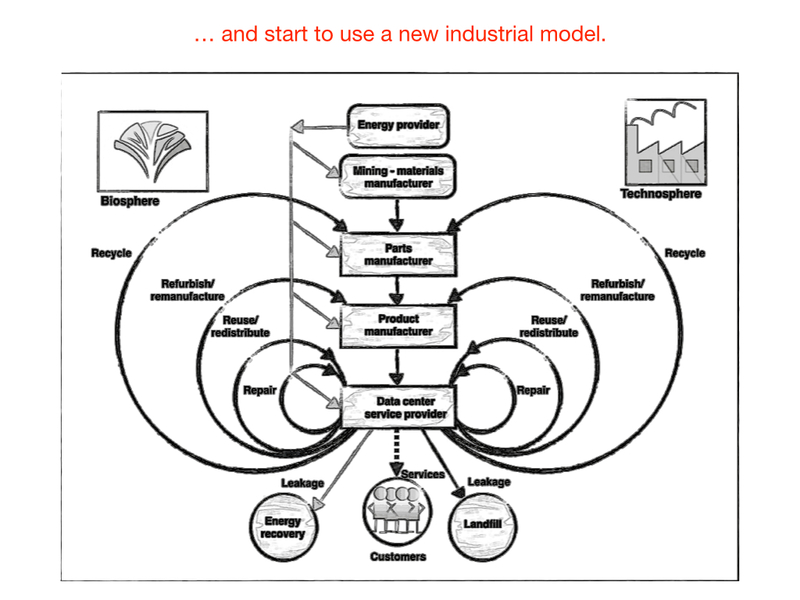 In his book “Confessions of a radical industrialist”, Anderson explains how he created a model of profitable sustainability. 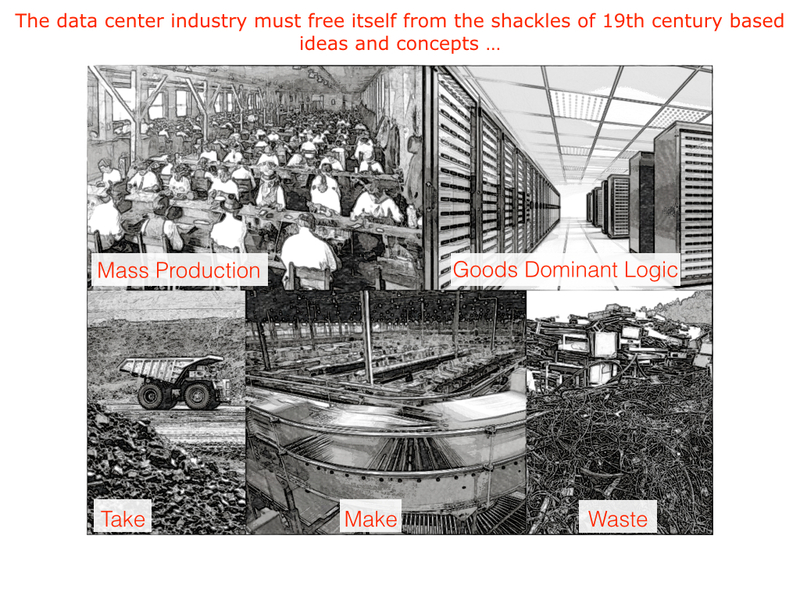 According to Anderson our industrial system today, inherited from the steam-driven days of the first industrial evolution 18th century, is primarily linear, with “Take-Make-Waste” processes. What does this mean? In short: “materials are extracted from the earth’s crust, transported to manufacturing sites, used to produce products (all materials not part of end product are discarded as waste), then products are transported to users and finally, at the end-of-life, discarded as waste”. 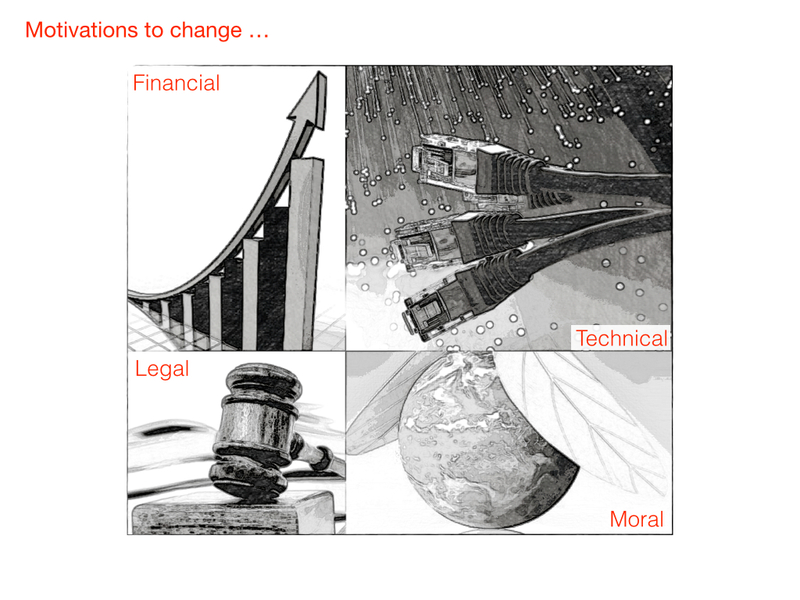 Nevertheless this clear and distinctive steps, this isn’t an easy ride. 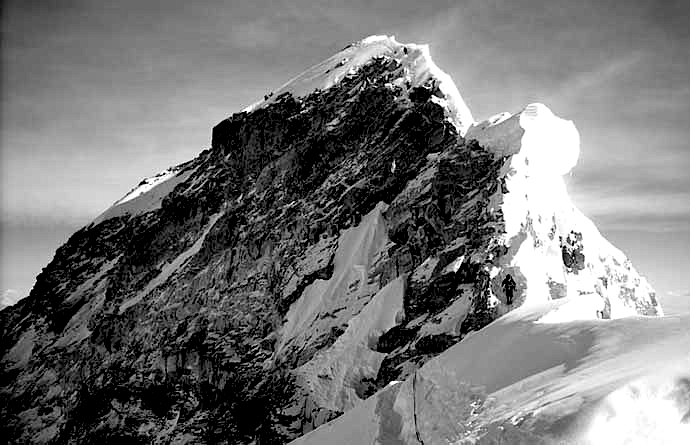 Anderson regular quotes Albert Einstein “Problems cannot be solved by the same thinking used to create them”, innovative thinking is key to get results. 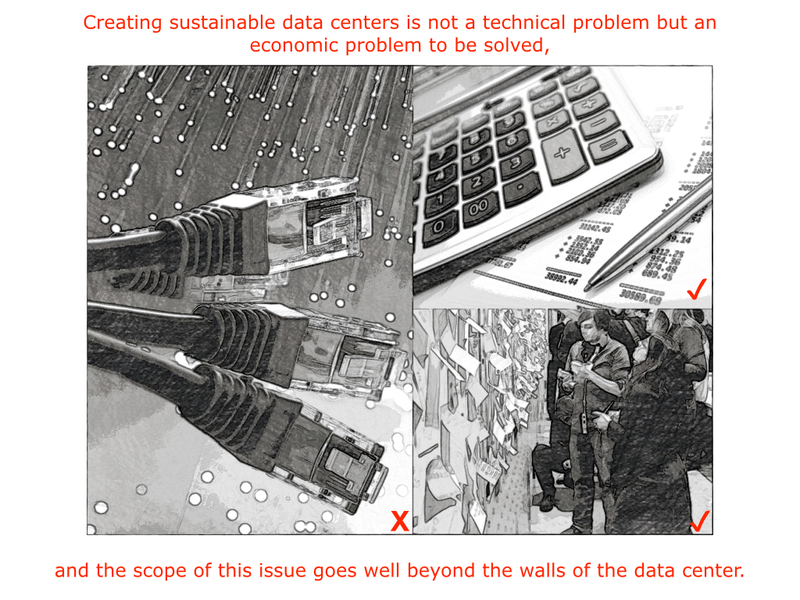 In the data center industry we have the same kind of issues as Anderson is describing for the carpet industry. The only difference is that Ray Anderson started already in 1994 with addressing these problems and showed some impressive results. 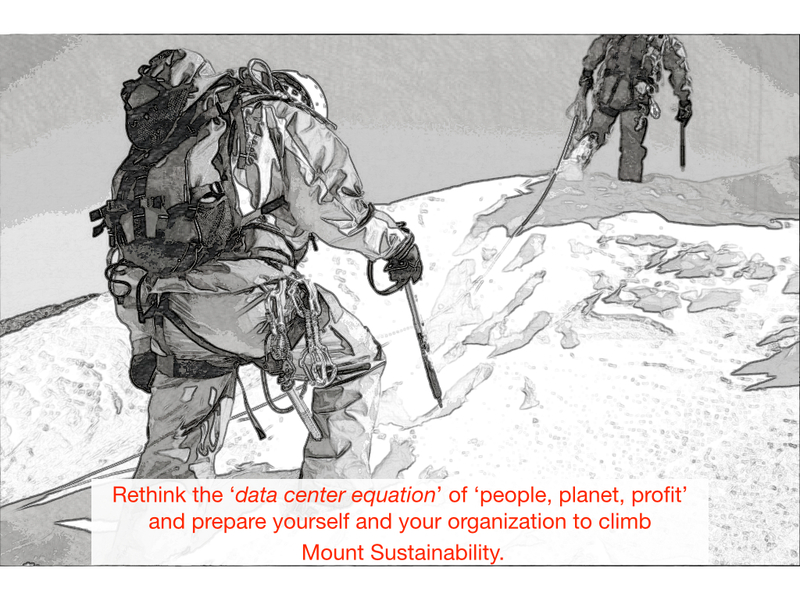 So why not prepare your self for the new year and read Anderson’s book to get inspiration for your Sustainable Data Center and balancing the complexities of the triple bottom line: people, planet and profits? In delivering computer process power and storage capacity there are apparently two opposite approaches, the cloud computing mega data center “bigger is better” and the local nano data center “small is beautiful”. The current “bigger is better” model of cloud computing leads, although shifted from customer to supplier, still to enormous capital expenditures, problems in power usage and cooling, power supply (Critical Areas for Transmission Congestion) and leads also to some structural vulnerabilities in terms of resiliency and availability of the infrastructure. The alternative p2p data center approach leads to questions about delivering enough “horse power”, network capacity, network supply and the governance of such a distributed system. A new paper from Microsoft Research,” The Data Furnace: Heating Up with Cloud Computing” added a new perspective to this discussion. They propose that servers, dubbed as Data Furnaces (DF’s), should be distributed to office buildings and homes where they would act as a primary heat source. 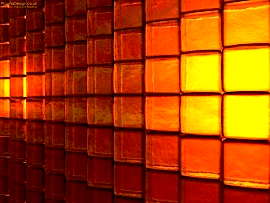 According to them the problem of heat generation in data centers can be turned into an advantage: computers can be placed directly into buildings to provide low latency cloud computing for its offices or residents, and the heat that is generated can be used to heat the building. 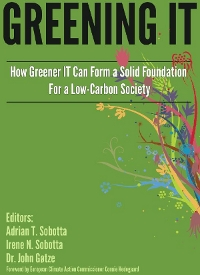 By piggy-backing on the energy use for building heating, the IT industry could grow for some time in size without increasing its carbon footprint or its load on the power grid and generation systems. The Data Furnaces (DFs) would be micro-datacenters on the order of 40 to 400 CPUs that would be integrated into the house/office building’s heating system. 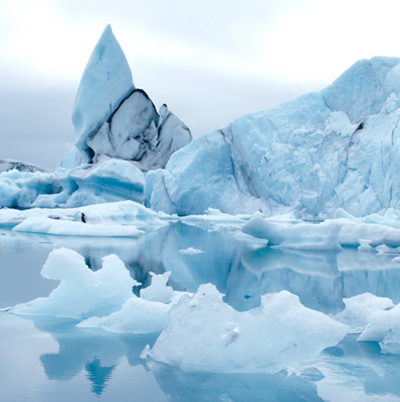 Examining a number of climate zones in the U.S. and operational scenarios, the researchers say that when compared to the US$400 cost per year for a server in a conventional data center, the estimated savings per DF per year range from $280 to $324. In the paper, the researcher focused on homes as an illustrating example. But as stated by them similar approach could be used to heat water tanks, office buildings, apartment complexes, vegetable farms, and large campuses with central facilities. See also the bog entries on nano data centers and the OZZO distributed data centers concept. As for the combination of greenhouse farming and data centers (symbiotic data centers) have a look at the site of Parthenon a company in the Netherlands that is working on this concept. 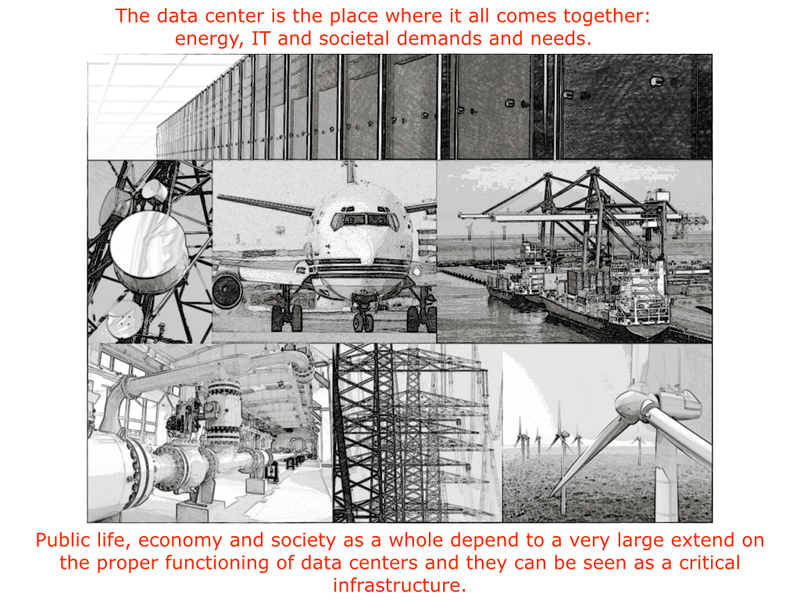 IT infrastructure and energy infrastructure get more and more intertwined.